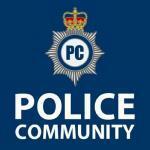 This is your pinned thread for discussion/ insight into the different functions performed by police staff- whether it's a role specific to the police like Forensics or emergency call handling, or a more general support role with unique challenges in a policing environment (like administration or HR), you can find information and ask questions here! Please feel free to share details of former roles, current roles, or even interesting news pieces- not many people know much about the roles performed by civillian staff and It's good to share any knowledge you have! I'm currently a Firearms Licensing Officer. Part of a team who manage the shotguns, firearms and explosives within the county. It's an interesting role and I liaise with a lot of departments. I work as an administrator in the Road Traffic Collisions department- it's an interesting role and it certainly gives a very different perspective to attending RTCs as a Special. I imagine you're aware of the procedures and best practices for attending RTCs. I bet this comes in handy? I currently work for comms. I am in the call centre for the next 6 weeks and then I'm off for a conversion course to work in the control room in Leeds. Working in comms you really do see another side to the police force than out on the streets. I've never had to ring 999. Name, address, incident and then further details? BT answer first and ask which service you want and take (or confirm?) your phone number in case you get cut off. Then they transfer you to the relevant emergency service and read out your telephone number to them. (Based on experience of calling the fire service a few times in the last few months). Then, the caller starts talking at 100mph and the call taker has to type it all in and complete the relevant fields around that free text, before grading it (priority) and routing it to the relevant resources. Indeed, and as I see a lot of the follow up work being carried out slow time it makes me think about how best to write it up when I attend as an SC. Hope that makes some sort of sense! I work as a call taker currently but begin my training as a controller tomorrow which is definitely a good place to open your eyes to the police work and public and is honestly a great job! I do bits and bobs related to intel and research. Working as a call taker at the moment! (one of 2 jobs!) Happy to answer any Qs, I only finished training recnetly so my knowlage is quite fresh! I'm in TVP mate, you? Lincs how you finding the role ect?